When hearing about Net Zero energy Homes, people immediately think of highly sophisticated design with four or five sources of renewable energy (Solar, Wind, Geothermal, Biomass, etc...), thick walls, expensive triple glazing and a premium cost with a payback equal or close to the lifetime of renewable energy equipment. There is a lot of negative publicity on the web that scares people (especially older generations) from paying a premium for having a Net Zero Energy or a Passive House. The reality is different nowadays. FirstRenewable Energies such as PV Solar and Solar Thermal are much cheaper than they were a couple of years ago. Secondthere are more skilled professionals (Architects, Engineers and Contractors) in the Canadian market mastering the art of Net Zero strategies. Thirdthe availability of really affordable and user friendly platforms such as Apple Home, Samsung and other platforms made the management of several set of appliances (both generating and consuming energy) a much simpler task. Fourththe emergence of several eCommerce platforms, has transformed the supply chain of renewable energy equipment purchase and installation. Our Optimal solution selection strategy consist of laying out all possible design options for the three main disciplines (Architectural, Mechanical and Electrical), Calculating the Initial cost (project cost) and running cost (Operation and Maintenance) for each design option, feeding options costs to our sophisticated Excel Model and using Tools such as Solver and Crystal Ball for choosing the most optimal design portfolio. We won't be sharing our Excel Model in this article due to the complexity of the model as as well as the intellectual property right owned by our team of professionals (Engineers and Architects). For the mechanical discipline, we evaluated several options among them geothermal energy, Solar Water Heating, Solar Air Heating, Air and Water Heat Recovery and many other options. 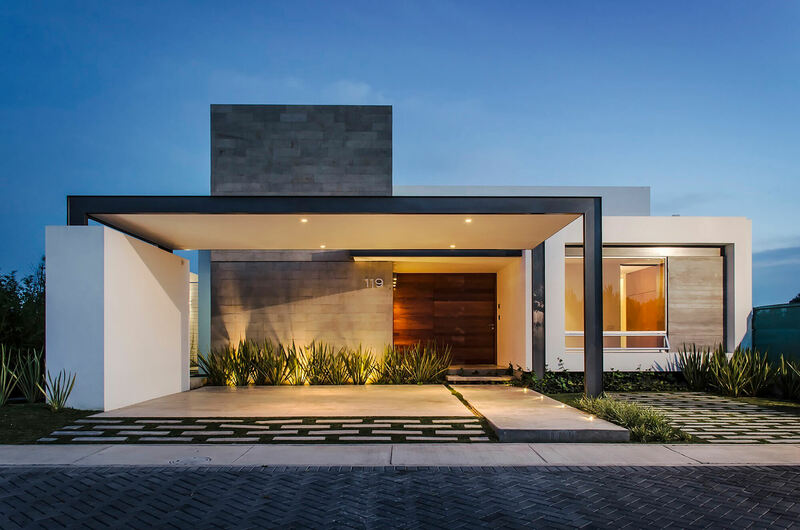 For the Architectural discipline, we evaluated the options of having several level of envelope energy efficiency ranging from the minimum required by the applicable Building Code to the passive houses level. We will be presenting the mechanical and architectural optimal options together since building thermal properties and architectural features (such as solar orientation, thermal efficiency, envelope tightness level, solar overhangs, etc...) determine building overall thermal efficiency which influence the selection of the Building HVAC and Plumbing System. During our load calculation and energy simulation process, we noticed that marginal winter heat loss becomes non significant when Envelope component's (Wall, Slab, Partition, etc...) thermal insulation exceeds certain value (Optimal Value) but marginal cost increases exponentially for thermally insulated components above the optimal value. For a slab on grade house, Winter Heat losses with an R7.5 (Canada Building Code Minimum Requirements) Styrofoam insulation underneath the slab is 2,754 Btu/hr. 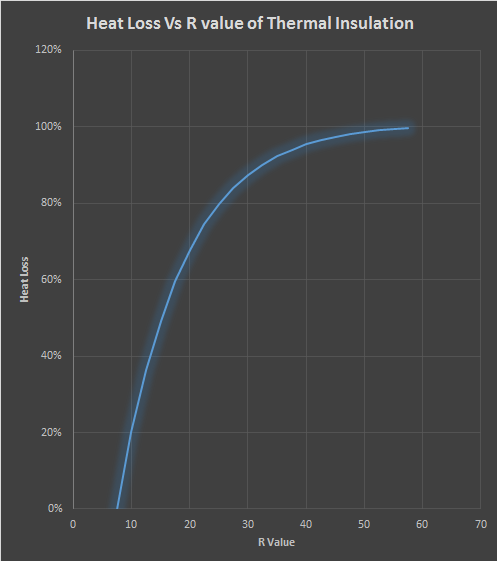 Heat loss decreases to 1,378 with an R25 Insulation (by 50%). Heat loss value decreases to 1,216 Btu/hr (by 61%) with an R30 Slab Insulation. The marginal cost between R25 and R30 insulation exceeds the marginal benefits for the whole Project's life cycle . Same logic was used to determine optimal thermal resistance value for Walls, Roof and Windows. We specified the most energy efficient double glazing window available in the Canadian Market (U Value of 0.15 (IP)), which remains cheaper than triple glazing windows having similar thermal caracteristics. Peak Winter Heating Calculated Load is 4.5 KW = 15,353 Btu/hr. 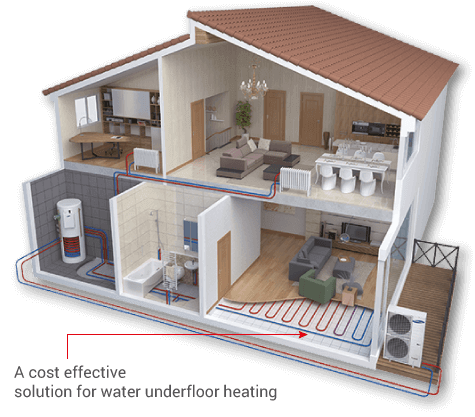 Heating was assured by hydronic radiant floor heating loops. Loops were made of PEX pipes poured inside the floor concrete slab. Peak heating load density was 16 Btu/hr for every square footage of living area. This gave a supply water heating temperature of 90F. Space Heating Hot Water was produced by an EVI Air to Water Heat Pump (CHILTRIX or ARCTIC HEAT PUMP) that can operate at Outdoor temperatures as low as -22C. The Heat Pump was sized for heat output equal to Space Heating Demand at -22C Outdoor Temperature. A buffer Hot Water Storage Tank was added between space hydronic floor heating loops and heat pump for three main reasons: First to reduce the cycling of the heat pump, second to allow for domestic hot water pre-heating (through an immersed indirect coil heating) in the storage tank and third to combine the Vacuum Tube Solar Collectors (installed on the roof) with the EVI Air to Water Heat pump and the space heating circuit. Vacuum Tube Solar Collectors will provide hot water at temperatures ranging from 90 to 115F in winter for space and domestic hot water heating (when sunny) and Heat Pump will provide Required Heat in the absence of Sun and at Night. An electric boiler was added to provide hot water for outdoor temperatures below -22C. A smart but Simple Control strategy was implemented in a way that heat pump and electric boiler will never run together. Solar Heat Source is an exception, in sunny (but not enough to provide 100% of heating demand), smart controller allows Solar Water Heating to Run with Heat Pump or Electric Boiler. in Summer time, all heat generated by the Vacuum Tube Solar Collectors is used for domestic hot water heating or to heat the swimming pool through a dedicated pool titanium heat exchanger, thus eliminating any wasted heat generated by the Solar Thermal system. Hydronic chilled water fan coil units (One FCU per zone) were used to cool the space. FCUs were controlled by room thermostat, the same thermostat that controls radiant heating loops. The smallest EVI Heat Pump Available is 2 Tons while peak summer cooling demand is a bit less than one Ton. 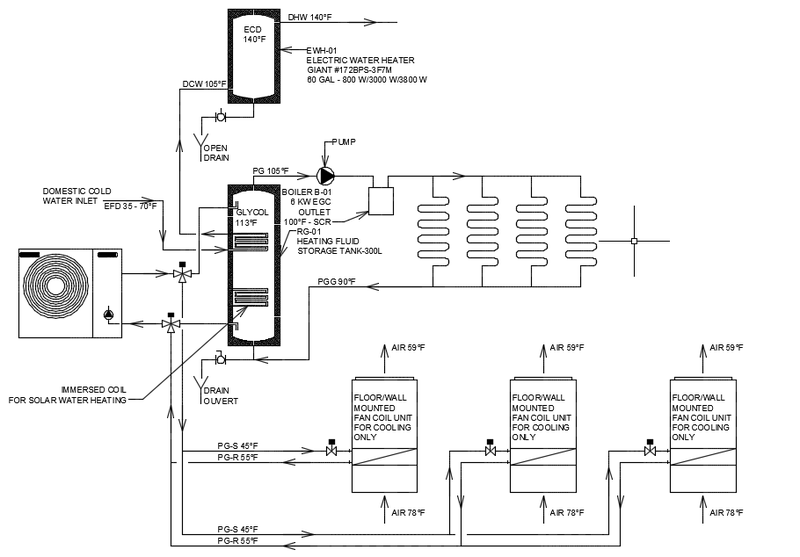 Smart Heat Pump controller allows the heat pump to heat the Heating Transfer Fluid Storage tank (up to 131 F) in summer and in the absence of cooling demand. So in Summer, DHW will be entering electric hot water heater at like 10F below set point. So along with Solar Water Heating Panels, DHW energy demand was almost eliminated in summer and reduced to its one third in winter. In the presence of space cooling demand without de-humidification, Smart Heat Pump Controller reset Heat Pump chilled water outlet temperature from 45F up to 52F. This reduces the Heat Pump Power consumption by almost half for the same output cooling capacity. An overhang, or some sort of solar control or solar shading, is a crucial element in passive solar design because it blocks the sun’s heat energy when it is not desired. 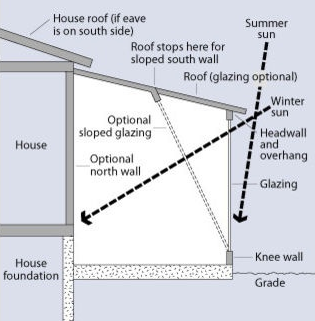 Because the sun travels different paths across the sky in the winter (low) and summer (high) time, an overhang can be constructed to utilise and manipulate the heat energy from the sun. In Montreal for example, Sun has a tilt angle of 28 degree in January and 86 degree in July. So the Overhang will block the sun from entering the house in the summer and will allow it in the winter (Passive Solar Heating). 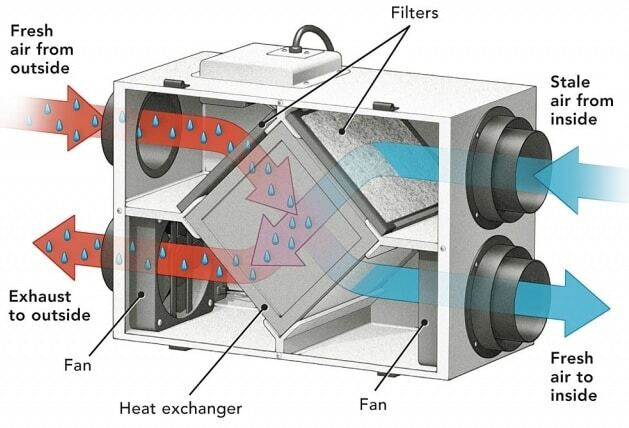 This reduces the nominal cooling load as well as Cooling/Heating annual energy consumption. To maximise the benefit of the sun in winter, Floor heating zoning loops had to be designed in a way to recuperate Passive heat hitting the slab and transfer that heat to non sunny parts of the house. Total Annual Passive Heating Energy was calculated at 1,222.95 KWh. 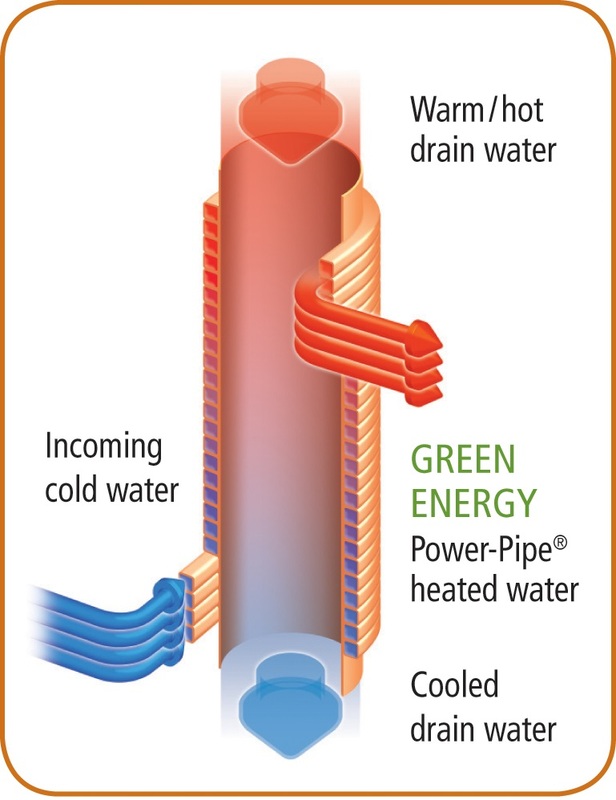 The Power-Pipe can dramatically cut water heating costs and reduce total home energy consumption. It works by using outgoing warm Shower & Dish Water drain water temperature (Usually at 42 C) to Pre-heat incoming cold fresh water (City at 2C in Winter and 15 C in Summer) so your water heater doesn't have to work as hard as before. The Power-Pipe will typically pay for itself in 2 to 10 years (depending on the utility rate and the heating energy source), and even faster after Government or Utility grants. The Power-Pipe's performance has been incorporated into our model using mathematical equations published by Natural Resources Canada (May 4 2007) . Additionally, the Power-Pipe is safe for drinking water, requires no maintenance, has no moving parts, increases effective hot water capacity, extends water heater life, and can be used with any type of plumbing system. Furthermore, We have combined Shower Drain and Dish Washer drain into a 3'' drain pipe with Power-Pipe and separated them from the Sanitary drain of all other Appliances and Sanitary fixtures (Kitchen Sink, Wash Hand Basin, etc...). ASHRAE 62.2 - 2010 Standard requires Fresh air delivery to every residential home in Canada. In our Project the calculated Fresh Air Flow was around 68 CFM. Fresh air needs to be treated (heated in Winter and Tempered in Summer) before being supplied into the living space. The fresh air treatment represent around 1,850.00 KWh per year . In a continuous Fresh air injection into the leaving space, pressure differential for indoor area toward outdoor keeps building up, and injected fresh air ends up ex-filtrating to the outdoor through Building Envelop cracks. To Avoid Loosing Indoor Air Heat to outdoor, and Air/Air Heat recovery wheel will recuperate up to 75% of exhausted air heat and use it to prehat Fresh Air. The ERV (Energy Recovery Ventilator) used in this project is an enthalpy recovery wheel. it can recover both sensible and latent heat. The recovered Heat Annual amount is calculated at 1,363.70 KWh. Energy Storage Special Requirements Batteries contain Lithium which requires dedicated ventilation & Fire Protection of the storage space Water Storage Tanks do not require special ventilation & fire protection systems. They do require protection against excess temperature and pressure in tanks. Since Home is Heated by hydronic floor heating loops and that Vacuum Tube Solar Collectors are much more efficient than PV Panel, Solar thermal Collectors were sized to cover Annual Domestic hot water heating and space heating demand for 10 out of 12 months. The reason is simple: to avoid generating solar heat that can not be used and ending up dumping it back to the environment. All other net energy demands such as cooling demand, plug loads demand were compensated by Solar Photvoltaic Panels. As we can see from the above table a 12m² of Vacuum Tube Solar Collectors provide more heat than a 40m² of PV Panels. All Panels shall be south facing on the flat roof. The Optimal Tilt Angle for the Vacuum Tube Solar collectors is 45 degree from flat roof while the one for the PV Panels is 30 degree. Vacuum Tube Collectors Tilt Angle was optimised for a Peak 10 Months energy Output since they mainly provides hot water for space heating. PV Panels Provide Power for mainly plug loads and cooling load summer demand, so the tilt angle was optimised for summer peak outpout.